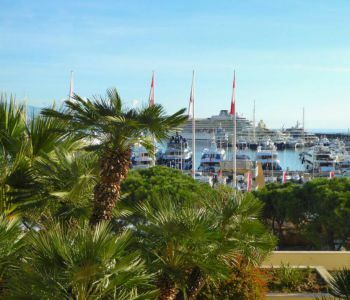 FRANZIDO PALACE - In the heart of Monaco, a few minutes walk from the port Hercule and the Casino, bourgeois-style apartment renovated with noble materials offering a bright living room, a fully equipped kitchen, 3 bedrooms en suite and plenty of storage space. Car park. 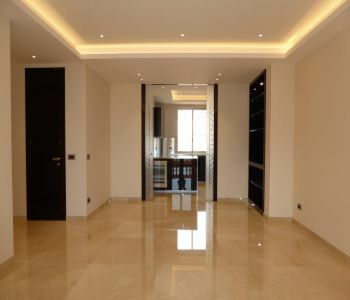 In a modern building, commercial walls of a total surface of 187 sq m developing on two levels. 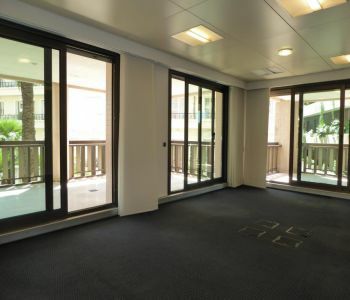 In a beautiful residential building, rare apartment of 3/4 rooms with a living area of 164 m² with loggias of 45 m² and exclusive enjoyment of a garden of 118 m²., Composed as follows: entrance hall, beautiful living room, kitchen independent equipped adjoining the dining room, master bedroom with bathroom and shower en suite, second bedroom with shower room, separate toilet, cupboards. A cellar and two car parks. 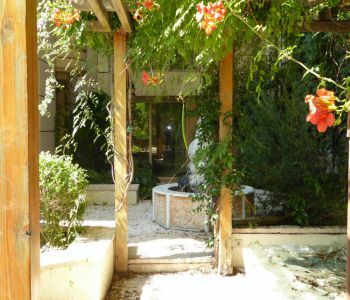 In a beautiful residence in the heart of a beautiful garden with pool, In the bloc Les Terasses; one-bedroom apartment on the 4th floor, with an area of ''90 sq m. The apartment is composed as follows: hall, lounge, kitchen, bathroom, bedroom, terrace. Living area of 76 sq m plus terrace of 14 sq m. Cellar and parking space. 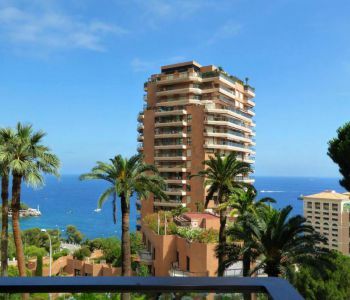 In a beautiful residence with swimming pool, large studio apartment of 46 Sq.m plus a balcony of 13 Sq.m, located on the 2nd floor, composed as follows: Hall, Bathroom, fitted kitchen, Room overlooking the balcony. One cellar and one parking. 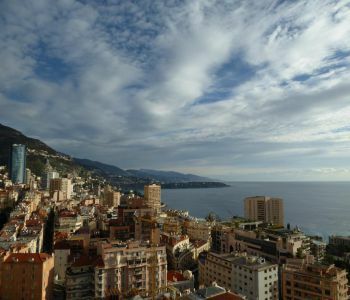 In a modern building, located near the Casino, one room apartment, renovated and furnished, located at 13 th floor, with panoramic view of Monaco, Cap Martin and the mountains, Consists of: Entrance, living room, kitchen open to the living room, a shower room, a bedroom, two loggias. Parking extra. 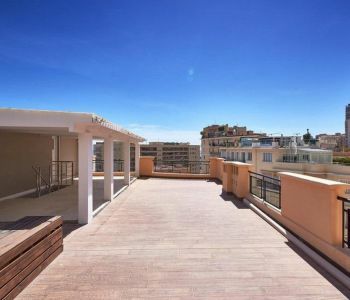 In a building close to the beaches of Larvotto, penthouse with 3 rooms, completely renovated with beautiful finishes, air conditioned, with a roof terrace and a view exceptional. With a total surface of 220 m², including 110 m² of Terrace, it is composed as follows: entry, spacious living room, dining room, kitchen, 2 rooms, 2 bathrooms, staircase to the roof terrace. 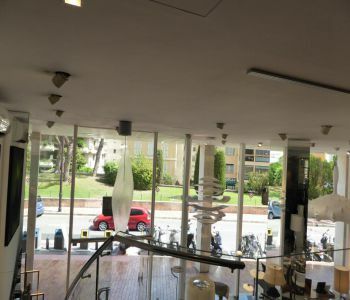 In a luxurious building in the heart of the Golden Square, offices occupying all of the 3rd floor of a total area about 878 sq m including about 673 sq m of internal surface. 8 cellars and 8 parkings spaces. Rent submitted to VAT. 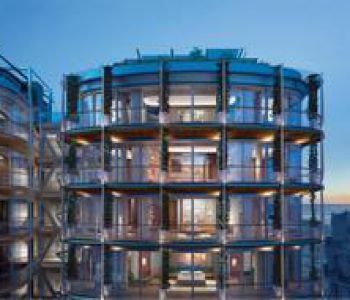 ONE MONTE CARLO - High-end residence signed by the architect Sir Richard Rodgers, located Place du Casino in the heart of the Golden Square. 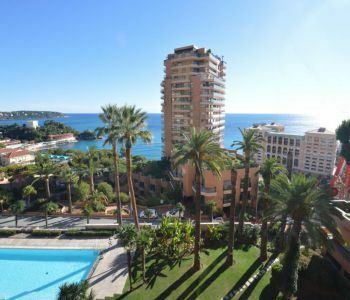 70sqm 1 bedroom apartment with 19 sqm terrace with parking, concierge service and valet parking 24/24, access for residents to the swimming pool and fitness room of the Thermes Marins. 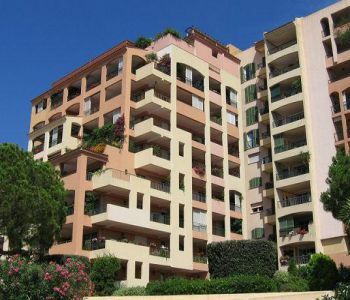 PARADISE In the district of Fontvieille, pretty studio composed of an entrance with cupboard, main room with access loggia, fitted kitchenette, shower room. A cellar and a parking.